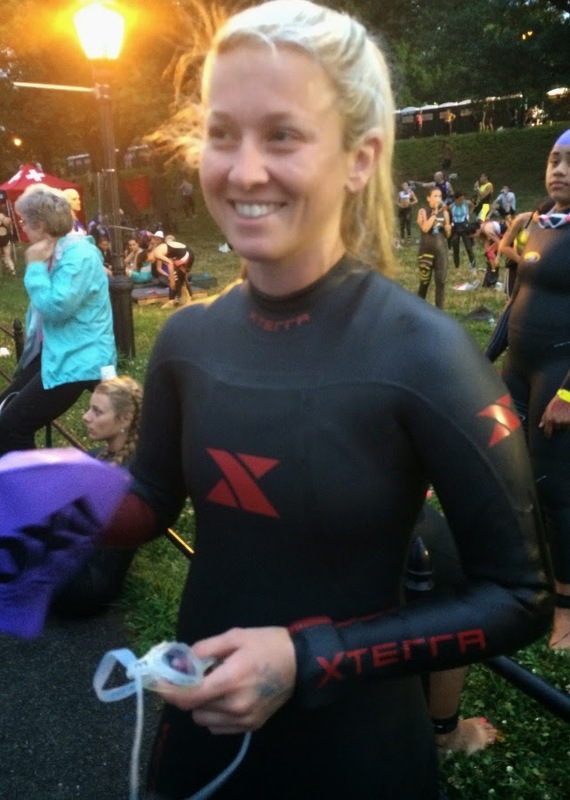 This past weekend, I braved the waters of the Hudson river and the slick wet roads of the Henry Hudson parkway during the New York City Triathlon. 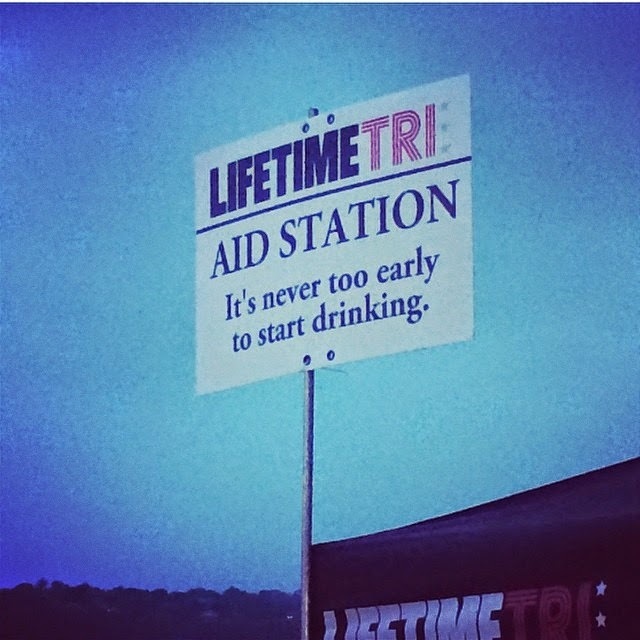 I have to say, this was one of if not the best triathlons I have ever raced. I enjoyed every minute of it, well maybe not the 3:45 AM wake-up but overall, I loved it and will definitely put my name in the lottery again for 2015. Mom and I arrived in NYC on Saturday morning and headed over to the expo for the MANDATORY briefing. Headed to the expo to pick up everything (I have to say that they had nothing good) so I didn’t buy anything. The guy at the briefing mentioned how there won’t be a current for the yellow transition group. I wanted to yell. Then around 6 we went and dropped off the bike at transition at riverside park. We drove over and mom stayed in the car while I parked my bike. My spot was by a muscle milk sign so it was easy to find it during the race. I took a few pics and then we went back to the hotel and ate dinner so we could get to bed early. Sunday morning bright and early (well not bright as it was dark outside) and we left our hotel around 4:15. It was quite hilarious as there were still folks out and about, stumbling back drunk to the hotel, eating food at the trucks outside. It was very funny. 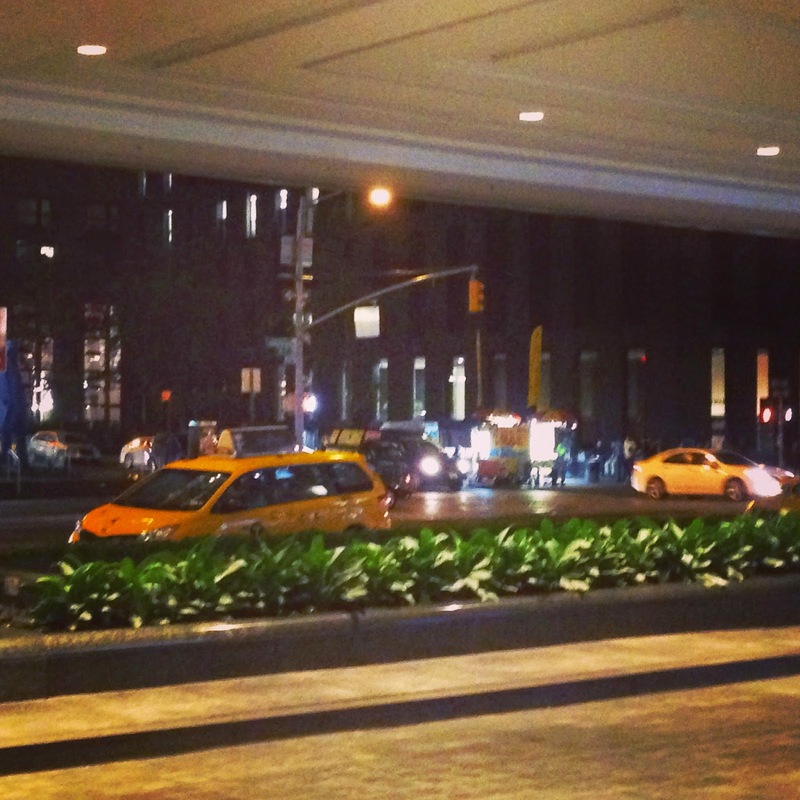 We took a cab over and I started setting up. I was in yellow transition which meant I had the longer run to transition. It also meant we had to be out by 5:15. It started to drizzle a little bit and I decided to make the decision by covering my running shoes with a towel to keep them dry in case it started to come down harder. MAN WAS I SMART. It did start to pour down after we got in the water and having dry shoes on the run was clutch. Mom and I started the 1-mile walk to the swim start along with everyone else. Water temp… 71 degrees. I’ll Take it! Oh and that nonexistent current… BS. there was a current alright, and it was grand! Fastest swim ever and probably will ever have. But I loved it. 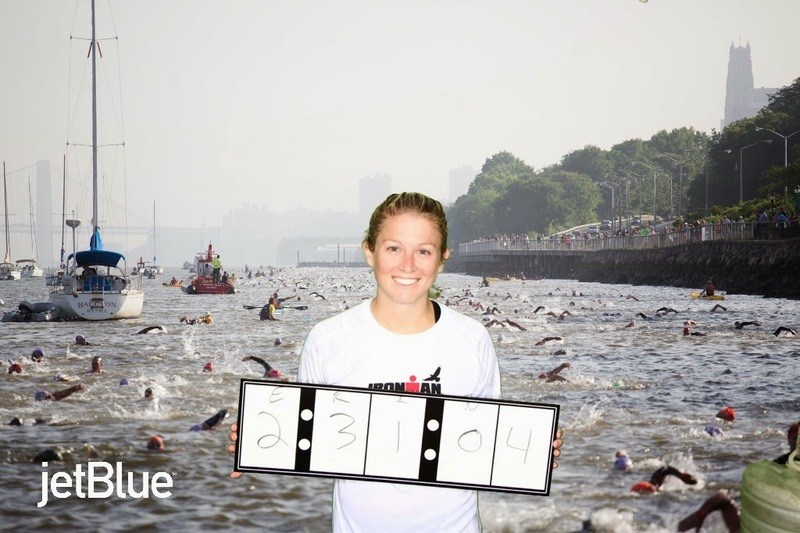 The swim took place by jumping off a dock 15 athletes every 20 seconds. This was great because there wasn’t a huge influx of people kicking and swimming on top of me. I jumped in and popped right back up already far away from the dock thanks to the current. I started swimming along and noticed I was ahead of a lot of people in my wave and started passing the wave in front. Mom said I came out pretty much at the beginning of the purple swim caps! I decided that I wasn’t going to make the same mistake I did at St. Anthonys by running the long run in the wetsuit. I got out of the water ran to an empty area and took it off. Then I bolted down the pathway which was very small so I had some issues passing people. It was also full of gravel so I had to be careful. I got into transition did my thing and I was outta there! By the time we got out of the water it was pouring so this was going to make for a fun bike. I decided to take my sunglasses because I wanted to protect my eyes from the rain pellets and it felt just like that. Stinging. The course was super slick, filled with potholes, puddles, and the sort. Thank goodness for my Conti GP tires. Man, they are wonderful because I saw person upon person getting flats, crashing and the sorts. I didn’t go as fast on this course as I usually would have as I was worried about crashing on the wet roads. It was also hilly so trying to take advantage on the downs but not going to fast was hard. I had a good flow though to get up the hills. Still not my happiest bike time. I was going back and forth with a couple of girls in my age group so that was entertaining. Also the views of the GW bridge, Hudson and city were worth it. 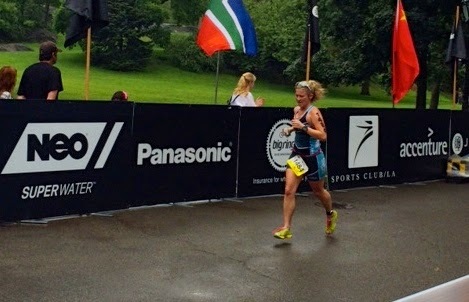 Entered transition, stuck behind slow guys and ran around them. Racked my bike and I was off. No visor needed and no socks. Also, the rain decided to stop by the tine we hit the run so that was appreciated. This was also a course full of rollers. The hardest hill was coming out of transition because it was a straight incline to the 72nd street. I was booking it and was real happy with myself. My legs were nice and rested and ready to run. Running through Central park was pretty cool with people out for their morning jogs cheering you on. I will say I was not happy with the gentleman who said .6 miles to go when it was clearly a mile. Get your facts right! When I finished I was really intrigued to see where I placed since I didn’t see very many girls my age and when I racked my bike, transition was empty especially our rack. I had mom check went I found her and she said I placed 10th. I was bummed because a podium would have been awesome by 10th out of like 200 girls. That’s pretty sick. The finish festival was blah, nothing spectacular. The medal could have been much better. Afterward mom and I headed back to the hotel to take a shower and a nap. Around 1, I went back to pick up my bike, ran around the city before heading back. 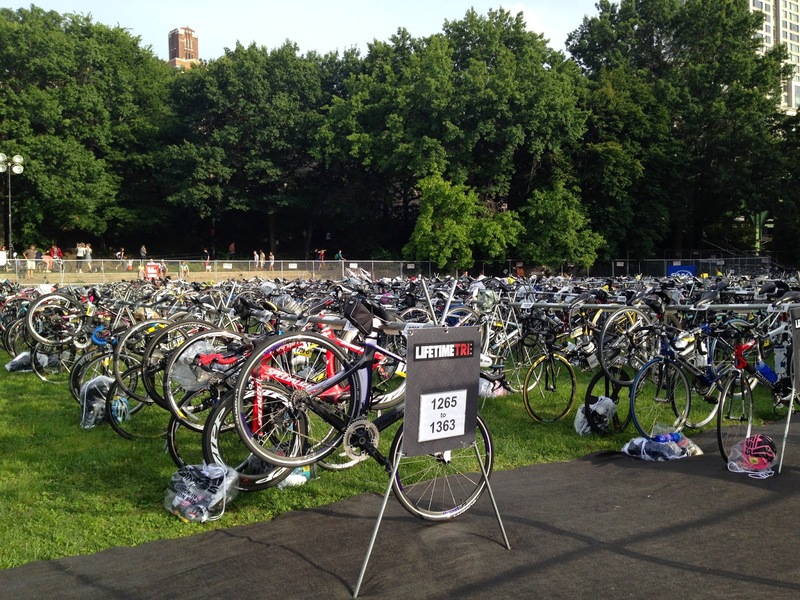 The NYC Triathlon was amazing and so worth it. I highly recommend this race to anyone and everyone. 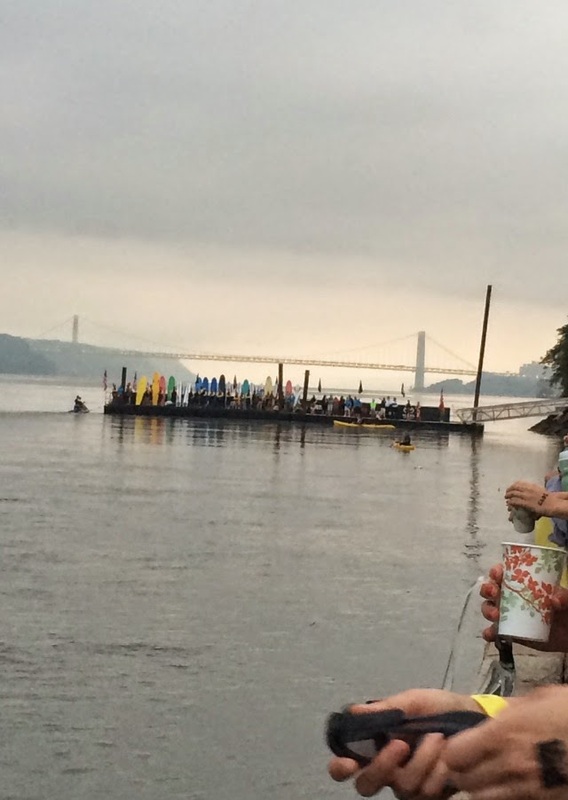 And don’t worry…the Hudson isn’t as bad as you would think. Great to meet you briefly before the start! I also loved it, even with the rain. At least the run wasn't too hot then! Congrats on 10th in AG, that's awesome!